aaaawwww. Tails & Cream look cute together.. HD Wallpaper and background images in the Cream the Rabbit club tagged: cream the rabbit tails. This Cream the Rabbit photo contains anime, comic book, manga, and cartoon. cream missing dun dun duh! Have any tanong about cream? just ask cream! on this image! IT WOULD BE BETTER WITH CHARMY!!! I think something is wrong with ur brain. I would like to see this picture of urs. I love it! I always did like Tails! 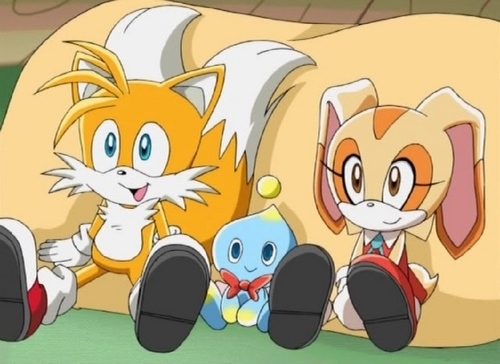 I like watching T.V w/Tails!